Mentoring using the familiar and effective mantra 'work hard, play hard,' Dr Drew Miller is seeking to promote and produce holistic, evidence-based physical education programs for children and adolescents across the country. Dr Drew Miller is at the top of his game - literally. He's discovering and experimenting with the latest in child and adolescent learning, sharing practical experiences of the many ways in which game-based activities have led to improvements in youth health, physical education and physical activity outcomes. "Developing positive outcomes is about so much more than just replicating motor control skills, like bouncing a ball or swinging a bat," the enthusiastic investigator concedes. "It's also about developing knowledge of how to play, as well as producing cohesive and inclusive activities in mixed-gender, mixed-ability settings." "High quality physical education can produce a wide variety of outcomes." As unconventional and forward thinking as they come, Drew is sitting comfortably in the space between the physical activity and physical education research fields. Believing a strategic mixture of both is key to "keeping kids in sports," the Central-Coast based academic is eager to inspire renewed, ongoing curiosity for regular recreation and sporting activity. "There's not much encouragement for teenagers at the moment," he admits. "People around the 14-15 year age mark reach a point very quickly where they plateau with their skills." "So I want to change the way they're taught and the way they learn – if they can understand the game better and play the game better, they can hopefully get more out of it." An educator dedicated to honing his craft, Drew is working closely with schoolteachers and community-level coaches to achieve this added value. Simultaneously creating and implementing novel professional development programs, the passionate scholar is looking to ensure his mentees are similarly at the top of their game. "I was looking for a way to move the research surrounding continuing professional development into an intervention that had impact on teachers and students," he reveals. "This is where PLUNGE (Professional Learning for Understanding Games Education) came from." "It enabled learning and teaching tailored to the authentic environment in each classroom." "I use role modelling, feedback and robust discussions about teaching practices to promote quality teaching that has a lasting, positive impact on students." A PE teacher by trade, Drew switched to a research career in 2007 when he undertook a PhD in Human Physiology at the University of Newcastle. An ambitious venture in the biomedical sciences area, the four-year probe sought to explore non-contact injuries in elite soccer and rugby competitors. "Essentially, I looked at the characteristics of athletes that expose them to greater amounts of risk," he clarifies. "I wanted to determine the factors we can change, like power outputs and posture, and the ones we can't, like limb length compared to torso length." Detecting a handful of each, Drew's study found there's a bit of wiggle room where non-modifiable aspects are concerned. "Once we know about them, we can do more protective work with the players," he explains. "We can improve things like their lumbar control so they're not at such high risk of injury." Moving to the School of Education in 2012 to pursue "work that produced change in schools through a focus on the quality of physical education teaching", Drew designed and ran the PLUNGE projects. "The first was a pilot study where we tested out the methodology of a professional development program," he recalls. "The second was a larger randomised controlled trial." "Over eight weeks, we trained teachers and worked with children in catholic schools across the region." 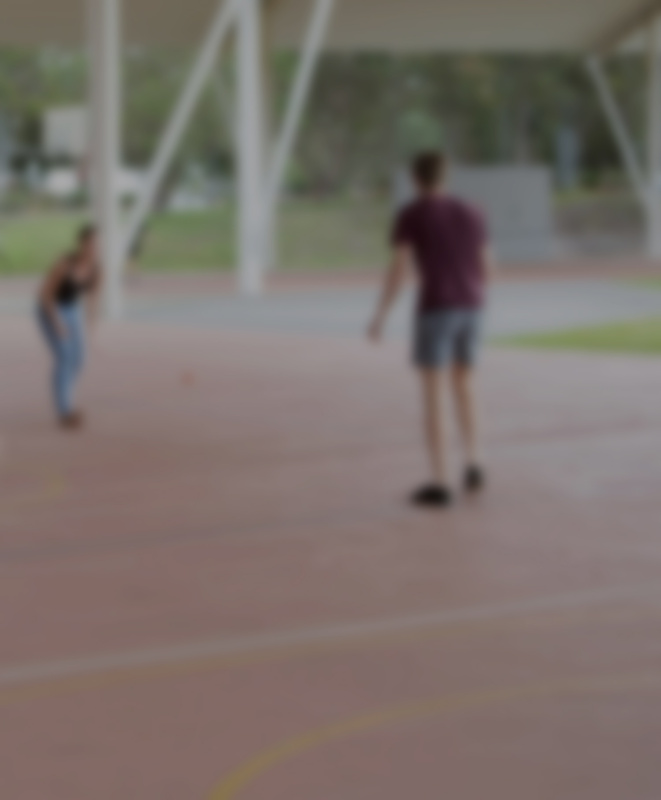 The physical education expert has since branched out from these traditional scholastic settings, opting to spearhead a similar, adapted practice with netball coaches in and around Newcastle. This time devising and delivering a mentoring program over a 3-month period, Drew looked to evaluate the benefits of prolonged exposure to games-based activities that require decision-making. "Skills-based teaching proclaims that if you don't know how to do a chest pass, you can't play netball," he explains. "While this is obviously important, we say that if you don't know where to stand or how to communicate with the other players, you're never going to get the ball to be able to throw it in the first place." "So we advocate a dual focus." Though still processing the data from this creative collaboration, Drew is cautiously optimistic about its translation success. "I think the results will replicate what we saw in schools, that helping coaches provide regular and more detailed feedback, and exposing the learners to sustained decision making leads to improvements in children's playing performances," he suggests. "There has been real interest from the local associations about the project, and we're hoping to carry out an offshoot in the near future, perhaps with Netball Australia." Closer to home, Drew is also evaluating a lifestyles project for a disability service provider in the Hunter. "I'm helping them modify and evaluate the program to maximise outcomes," he says. "Adjustments made will be based on research in behaviour change, nutrition and physical activity." "Compared with the general population, people with intellectual disability have a higher prevalence of obesity, hypertension, and metabolic syndrome, so this is an important program for the health of this group in the hunter region." 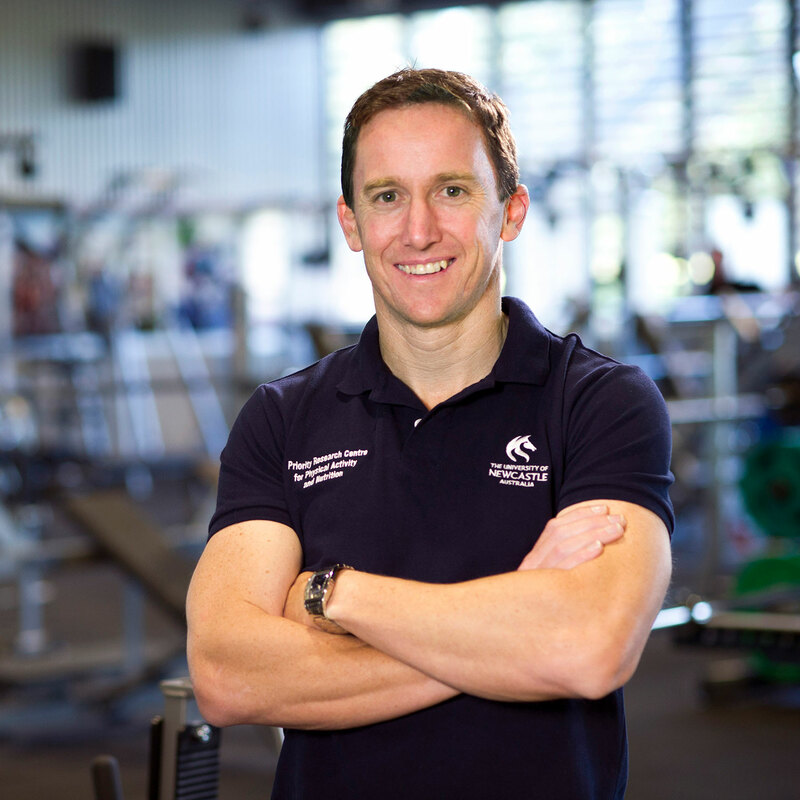 Dr Andrew (Drew) Miller began lecturing at the University of Newcastle in 2012, after completion of his PhD (Human Physiology) in 2011, and is an associate of the University of Newcastle's Priority Research Centre for Physical Activity and Nutrition, and the Faculty of Education and Arts program - Teachers and Teaching. Dr Miller's research focus is on the professional development of primary school teachers for the improvement of teaching quality in Physical Education. Improvement of physical activity outcomes amoung primary school age students is the long-term goal of this research. 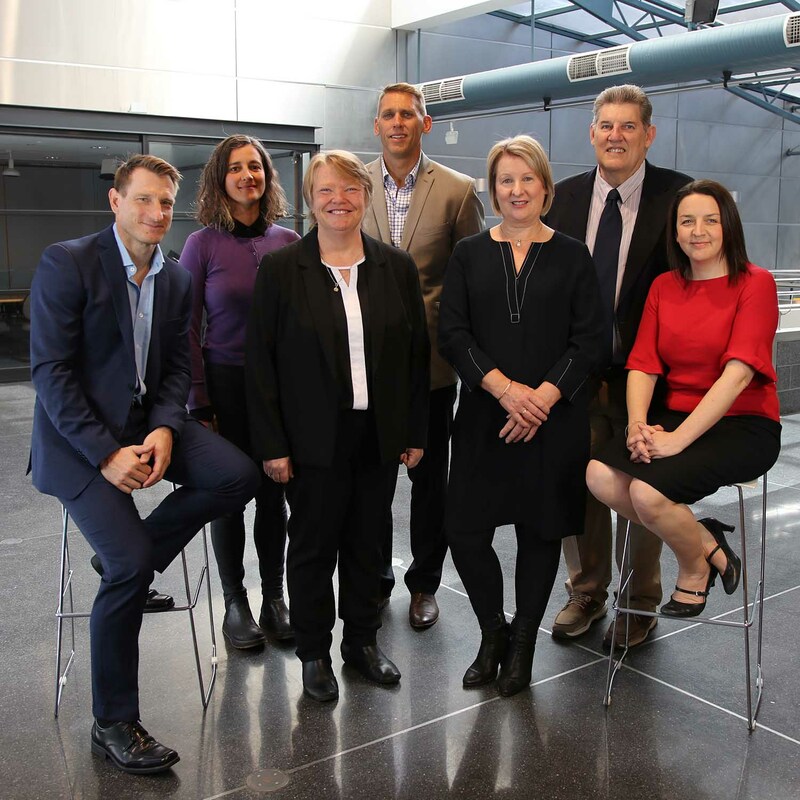 Dr Miller is also engaged in the National expansion of the Exceptional Teachers in Disadvantaged Schools project, which aims to place and support high quality graduates from the University of Newcastle into traditionally disadvanted schools. Schools have an important role to play in promoting physical activity in youth and physical education is the primary vehicle associated with this outcome in the school setting. Through my research programs based around professional development of primary school teachers, I hope to improve the quality of physical education at a primary school level and in turn improve the long term physical activity outcomes for the children in these schools. I advocate for stronger (than the traditional in-service) professional development models that include teacher mentoring and communities of practice for the longer term improvement of teaching practice. Taking the learning into the teacher's environment, using role modelling, feedback and having robust discussion about teaching practice can have a lasting effect on teachers and the students they teach. I promote the use of games based teaching practices for overall student physical development in physical education. Physical Education is so much more than the replication of physical skills, and the development of the skills required to play games effectively, as well as an awareness of the sociocultural elements involved in any game played in a mixed gender, mixed ability school setting is important for all students. The use of games allows teachers to teach so much more than motor control skills and offers great opportunities to increase the quality of what's happening in a physical lesson. My teaching expertise is in line with my research interests. Programs developed for the mentoring and professional development of primary school teachers, and the intervention materials used for the acheivement of physical education and physical activity outcomes in childred is merged into Primary and Early Childhood Undergraduate Physical Education courses. © 2018, © 2018 Informa UK Limited, trading as Taylor & Francis Group. This study investigated if object control relates to children¿s game play competence, and examined these competencies as correlates of physical activity and cardiorespiratory fitness. Game play (Game Performance Assessment Instrument), object control (The Test Gross Motor Development-3), moderate-to-vigorous physical activity (Accelerometry), and cardiorespiratory fitness (20-metre shuttle) assessments were completed for 107 children (57% Female, 43% Male) aged 9¿12¿years (M 10.53, SD 0.65). Two-level regression of object control on game play competence, and object control and game play competence on physical activity and cardiorespiratory fitness assessed associations. Object control competence was positively associated with game play competence (Std. B¿=¿0.25, t (104.77)¿=¿2.38, p¿=¿0.001). Game play competence (Std. B¿=¿0.33, t (99.81)¿=¿5.21, p¿<¿0.000) was more strongly associated with moderate-to-vigorous physical activity than object control competence (Std. B¿=¿0.20, t (106.93)¿=¿2.96, p¿=¿0.003). Likewise, game competence (Std. B¿=¿0.39, t (104.41)¿=¿4.36, p¿<¿0.000) was more strongly associated with cardiorespiratory fitness than object control competence (Std. B¿=¿0.22, t (106.69)¿=¿2.63, p¿=¿0.002). Object control and game competence are both important as correlates of physical activity and cardiorespiratory fitness in children. © 2018 Australian Health Promotion Association Issue addressed: The dietary intakes of Australian children are not optimal, with few meeting recommended vegetable and fruit intake targets. Nutrition education in childhood is important for developing healthy eating patterns, with schools an ideal setting for a wide reach. The aims of this study were to examine nutrition education within the NSW primary school syllabus, explore how much time teachers spend teaching nutrition, what is taught, what materials are used, and to identify attitudes towards nutrition education. Method: An online survey consisting of 29 closed questions (with options for comments) was specifically developed for the purpose of this study. Teachers currently teaching at a NSW primary school were eligible to participate. Results: A total of 33 NSW primary school teachers completed the survey. Results indicate that limited time is spent on teaching nutrition with some important nutrition education components currently missed, resources perceived to be inadequate and lack of time reported as the largest barrier to teaching nutrition. Conclusion: In order to improve the quality of nutrition education in NSW primary schools, several important topics need to be integrated into the curriculum, and time constraints of teachers should be taken into account. So what? : Findings from the current survey will inform the development of future nutrition education programs and resources with the aim of integrating nutrition education within the primary school curriculum. © 2018 Objectives: The primary aim of this study was to evaluate the preliminary efficacy and feasibility of an 8-week high-intensity interval training program (Uni-HIIT) for young adult students in a university setting. Design: Randomised controlled trial. Method: Uni-HIIT was conducted at the University of Newcastle, Australia (February-June, 2017). Participants were university students 18-25yrs (n = 53; 20.38 ± 1.88yrs) randomized into the Uni HIIT program (n = 26) or wait-list control (n = 27) condition. Participants were required to attend up to three HIIT sessions/week for 8-weeks which included a variety of aerobic and muscular fitness exercise combinations lasting 8¿12 minutes (using 30:30 sec rest:work intervals). The primary outcome was cardio-respiratory fitness (CRF) (20mSRT), and secondary outcomes included muscular fitness (standing jump, push-ups), body composition (InBody), executive function (Trail Making Test), anxiety levels (State Trait Anxiety Inventory) and perceived stress (Perceived Stress Scale). Linear mixed models were used to analyse outcomes and Cohen&apos;s d effect sizes were calculated. Process evaluation measures of recruitment, retention, attendance and satisfaction were conducted. Results: A large significant group-by-time effect resulted for CRF [8.4 shuttles (95% CI(2.9-13.9), P = 0.004,d = 1.08] and muscular fitness [4.0 repetitions (95% CI(1.2-6.8), P = 0.006,d = 0.99], and moderate effect size was observed for Trail B [-5.9 seconds (95% CI(-11.8-0.1.0), P = 0.052, d = 0.63]. No significant intervention effects were found for body composition, standing jump, anxiety or perceived stress (P > 0.05). High ratings of participant satisfaction (4.73), enjoyment (4.54) and perceived value (4.54) were observed. Conclusion: This study demonstrates the efficacy and feasibility of delivering a novel HIIT program in the university setting. © 2016, © The Author(s) 2016. The primary objective of this study was to evaluate the efficacy of a continuing professional development (CPD) intervention in producing changes in physical education (PE) teaching practice and PE teaching quality by generalist primary school teachers when the CPD addressed the use of a game-centred approach. A cluster randomized controlled trial was conducted in seven primary schools in the Hunter Region, New South Wales, Australia. One year six teacher from each school was randomized into the Professional Learning for Understanding Games Education (PLUNGE) intervention (n = 4 teachers) or the 7-week wait-list control (n = 3) condition. The PLUNGE intervention (weeks 1¿5) used an instructional framework to improve teachers¿ knowledge, understanding and delivery of a game-centred curriculum, and included an information session and weekly in-class mentoring. The intervention was designed to enhance content and pedagogical knowledge for the provision of pedagogy focused on a broad range of learning outcomes. Teaching quality was assessed at baseline and follow-up (weeks 6 and 7) via observation of two consecutive PE lessons using the Quality Teaching Lesson Observation Scales. Linear mixed models revealed significant group-by-time intervention effects (p < 0.05) for the quality of teaching (effect size: d = 1.7). CPD using an information session and mentoring, and a focus on the development of the quality of teaching using a game-centred pedagogical approach was efficacious in improving the quality of PE teaching among generalist primary school teachers. Developing effective methods for improving student learning in higher education is a priority. Recent findings have shown that feedback on student work can effectively facilitate learning if students are engaged as active participants in the feedback cycle, where they seek, generate and use feedback in the form of dialogue. This novel study investigates the use of peer dialogue assessment as an assessment for learning tool used in an existing undergraduate physical education course. Our findings demonstrate that when thirty six undergraduate physical education students were provided with instruction and practice using peer dialogue assessment after consecutive teaching performances, they exhibit significant improvements in perceived teaching confidence and competence, and teaching self-efficacy. Process evaluation results implying thatembedding peer dialogue assessment in higher education courses may be a feasible approach for facilitating learning, and that students were satisfied with using peer dialogue as a feedback method for improving teaching practices. © 2016 Informa UK Limited, trading as Taylor & Francis Group. This study evaluated whether exposing junior netball players to greater amounts of competition relevant activity (playing form activity) had an effect on game play outcomes and session involvement. A group-randomised controlled trial in one junior netball club in the Hunter Region, NSW, Australia. Ninety female athletes (mean age = 9.04 years, SD 1.53) were randomised by team (n = 11) into the intervention (n = 41) or 9-week wait-list control (n = 49) condition. The Professional Learning for Understanding Games Education into Sport (PLUNGE into Sport) programme was undertaken in the first half of nine training sessions (9 × 30 min). The intervention exposed athletes to playing form activity through a coach development programme within training sessions. Athletes¿ decision-making, support and skill outcomes during a small-sided invasion game, and session involvement (pedometer step/min), were measured at baseline and 9-week follow-up. Linear mixed models revealed significant group-by-time intervention effects (P < 0.05) for decision-making (d = 0.4) and support (d = 0.5) during game play, and in-session activity (d = 1.2). An intervention exposing athletes to greater levels of playing form activity, delivered via a coach education programme, was efficacious in improving athlete decision-making and support skills in game play and increasing athlete involvement during sessions. Copyright © 2015 Wolters Kluwer Health, Inc. All rights reserved. Objective: To determine whether nonmodifiable and modifiable risk factors [ankle dorsiflexion range of motion (ROM), lower limb power output, and balance], as identified in preseason screening, predict the risk of sustaining a noncontact ankle injury in amateur male soccer players during the training and competitive season. Design: Prospective cohort study. Setting: Amateur soccer competition (club and area representative teams). Participants: Amateur soccer players (n = 210) aged =15 years. Assessment of Risk Factors (Independent Variables): Height, weight, ankle dorsiflexion ROM, power (vertical jump) and balance (time of double-leg balanced stance on an electronic wobble board, maximum 20 seconds) measured in preseason screening. Main Outcome Measures (Dependent Variable): Incidence of noncontact ankle injury and exposure to both training and games, monitored during the competitive season following baseline measurement. Noncontact ankle injury was defined as any ankle injury not caused by a collision (with another player or object) resulting in a participant missing at least 1 game or training session. Results: Fourteen of the 210 participants (6.7%) sustained a noncontact ankle injury yielding an injury rate of 0.484 injuries per 1000 player hours. Lower limb power output scores <30 W/kg [odds ratio (OR), 9.20, 95% confidence interval (CI), 1.13-75.09, P = 0.038] and poorer balance scores (OR, 0.43, 95% CI, 0.21-0.89, P = 0.024) were associated with higher odds of injury. Conclusions: Poorer lower limb power output and balance are risk factors for noncontact ankle injury among amateur soccer players. These deficits can potentially be identified by screening, providing opportunities to investigate prevention strategies. © 2016 Society for Adolescent Health and Medicine. All rights reserved. Purpose: The aim of this study was to explore the effect of the Active Teen Leaders Avoiding Screen-time (ATLAS) intervention on psychological well-being in adolescent boys and to examine the potential mediating mechanisms that might explain this effect. Methods: ATLAS was evaluated using a cluster randomized controlled trial in 14 secondary schools located in low-income communities (N = 361 adolescent boys, mean age = 12.7 ±.5 years). The 20-week intervention was guided by self-determination theory and involved: professional development for teachers, provision of fitness equipment to schools, enhanced school sport sessions, researcher-led seminars, a smartphone application, and parental strategies for reducing screen time. Assessments were conducted at baseline and immediately post intervention (8 months). Psychological well-being was measured using the Flourishing Scale. Motivational regulations (intrinsic, identified, introjected, controlled, and amotivation) and basic psychological needs (autonomy, competence, and relatedness) in school sport, muscular fitness, resistance training skill competency, and recreational screen time were examined as potential mediating mechanisms of the intervention effect. Results: The intervention effect on well-being was small but statistically significant. Within a multiple mediator model, changes in autonomy needs satisfaction, recreational screen time, and muscular fitness significantly mediated the effect of the intervention on psychological well-being. Conclusions: In addition to the physical health benefits, targeted physical activity programs for adolescent boys may have utility for mental health promotion through the mechanisms of increasing autonomy support and muscular fitness and reducing screen time. © 2015, © The Author(s) 2015. The primary objective of this study was to evaluate the efficacy of a pilot intervention using a gamecentered approach for improvement of physical activity (PA) and physical education (PE) outcomes simultaneously, and if this had an impact on enjoyment of PE. A group-randomized controlled trial with a 7-week wait-list control group was conducted in one primary school in the Hunter Region, NSW, Australia. Participants (n<107 students; mean age<10.7 years, SD 0.87) were randomized by class group into the Professional Learning for Understanding Games Education (PLUNGE) pilot intervention (n<52 students) or the control (n<55) conditions. PLUNGE involved 6 × 60 min PE lessons based on game-centered curriculum delivered via an in-class teacher mentoring program. Students were assessed at baseline and 7-week follow-up for fundamental movement skills (FMS) of throw and catch, game play abilities of decision making, support and skill performance; in-class PA; and enjoyment of PA. Linear mixed models revealed significant group-by-time intervention effects (p = 0.05) for throw (effect size: d<0.9) and catch (d<0.4) FMS, decision making (d<0.7) and support (d<0.9) during game play, and in-class PA (d<1.6). No significant intervention effects (p = 0.05) were observed for skills outcome during game play (d<¿0.2) or student enjoyment (d<0.1). Game-centered pedagogy delivered via a teacher professional learning program was efficacious in simultaneously improving students¿ FMS skills, in-class PA and their decision making and support skills in game play. © 2014, © 2014 The Author(s). The science and practice of step counting in children (typically aged 6-11 years) and adolescents (typically aged 12-19 years) has evolved rapidly over a relatively brief period with the commercial availability of research-grade pedometers and accelerometers. Recent reviews have summarized considerations for assessing physical activity using pedometers in young people (both children and adolescents), but 3 areas have received little attention: pedometer monitoring protocols, minimal (as opposed to optimal) step counts necessary for maintaining basal levels of health, and appropriate pedometer-based interventions for young people. Therefore, the objective of this review was to evaluate the current evidence and identify future research directions in these areas. The challenges of objective monitoring of physical activity in children and adolescents reinforce the importance of using protocols that minimize participant burden and the potential for tampering/reactivity. Evidence for a sedentary lifestyle cut point is limited; researchers are therefore encouraged to investigate several cut points (ie, <5000, <6000, <7000 steps/d) in children and adolescents to identify the health consequences of very low levels of ambulatory activity. Personalized messages may be necessary for health behavior change in pedometer-based interventions, but there is a need for more high-quality studies to develop the existing evidence base. Objective: To evaluate the effectiveness of the &apos;Healthy Dads, Healthy Kids (HDHK)&apos; program when delivered by trained facilitators in community settings. Method: A two-arm randomized controlled trial of 93 overweight/obese fathers (mean [SD] age=40.3 [5.3] years; BMI=32.5 [3.8] kg/m2) and their primary school-aged children (n=132) from the Hunter Region, Australia. In 2010-2011, families were randomized to either: (i) HDHK intervention (n=48 fathers, n=72 children) or (ii) wait-list control group. The 7-week intervention included seven sessions and resources (booklets, pedometers). Assessments were held at baseline and 14-weeks with fathers&apos; weight (kg) as the primary outcome. Secondary outcomes for fathers and children included waist, BMI, blood pressure, resting heart rate, physical activity (pedometry), and self-reported dietary intake and sedentary behaviors. Results: Linear mixed models (intention-to-treat) revealed significant between-group differences for fathers&apos; weight (P < .001, d= 0.24), with HDHK fathers losing more weight (- 3.3. kg; 95%CI, - 4.3, - 2.4) than control fathers (0.1. kg; 95%CI, - 0.9,1.0). Significant treatment effects (P < .05) were also found for fathers&apos; waist (d= 0.41), BMI (d= 0.26), resting heart rate (d= 0.59), energy intake (d= 0.49) and physical activity (d= 0.46) and for children&apos;s physical activity (d= 0.50) and adiposity (d= 0.07). Discussion: HDHK significantly improved health outcomes and behaviors in fathers and children, providing evidence for program effectiveness when delivered in a community setting. © 2014 Published by Elsevier Inc. Laureate Professor Jenny Gore; Dr Julie Bowe; Dr Leanne Fray; Dr Jess Harris; Professor Bruce King; Professor David Lubans; Mr Andrew Lyell; Dr Drew Miller; Dr Elena Prieto-Rodriguez; Professor Max Smith. Dr Julie Bowe; Laureate Professor Jenny Gore (Director); Dr Jess Harris; Dr Drew Miller; Dr Elena Prieto-Rodriguez; Professor Max Smith; Professor Geoff Whitty; Dr Leanne Fray; Mr Andrew Lyell; Professor Bruce King; Dr Adam Lloyd; Professor David Lubans. Improving the quality of school teaching is a global concern at the heart of a visionary education program soon to be rolled out in Australian schools. Study finds dads often absent from studies that test best ways to treat obesity in children. UON student teachers will participate in a national program designed to prepare them for successful careers in low socio-economic status (SES) schools.